hey all.....Painesville, east of cleveland. id love to meet a couple of you guys and gals. Terry from east central Ohio. 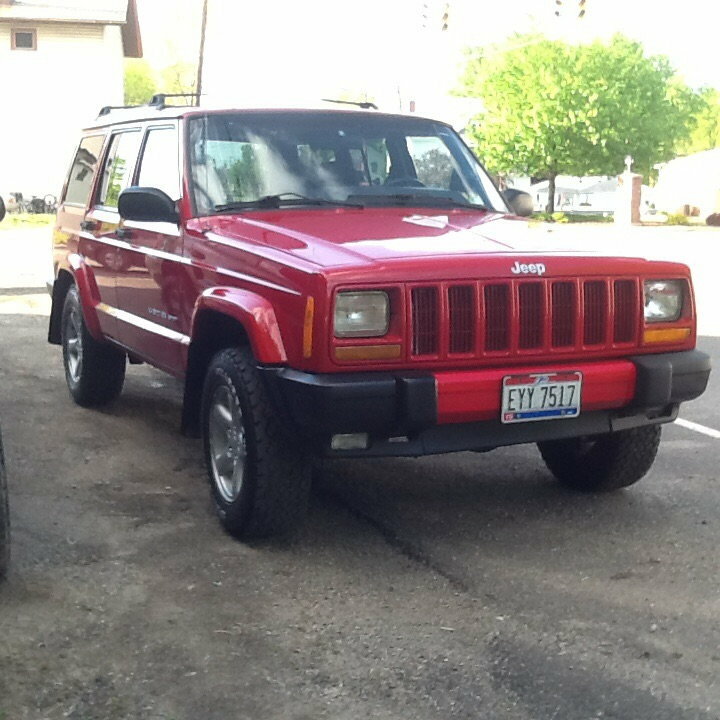 Just posted a 93 XJ to Columbus Craigslist. Hello. Neil from Holland, OH, just south of Toledo, OH. I have a 97 XJ with 256k and a clean body and frame and a 95 XJ with 186k but a rotted frame. I am in the process of fixing the few problems the 97 has. When I find a suitable garage to work on it, I am going to pull the drive train from the 95 and put it in the 97. The rear end is the first that needs swapped since it had a substantial hum. The engine and trans seems to find in both jeeps, the transfer case will stay in the 97. If anybody needs parts let me know, I may have it and will sell what I do not need. The body panels on the 95 are in decent shape, very little rust. The doors have a small amount of rust at the bottom corners, etc. Nothing that a wire wheel and some paint wouldn't fix. Hubbard, OH. checking in here. 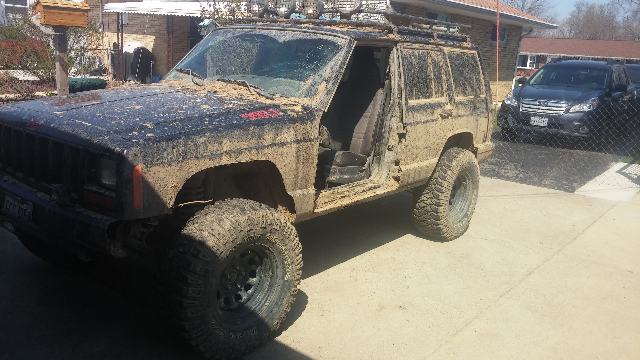 looking for some Jeepin buddies! had a little fun this weekend. nothing crazy. 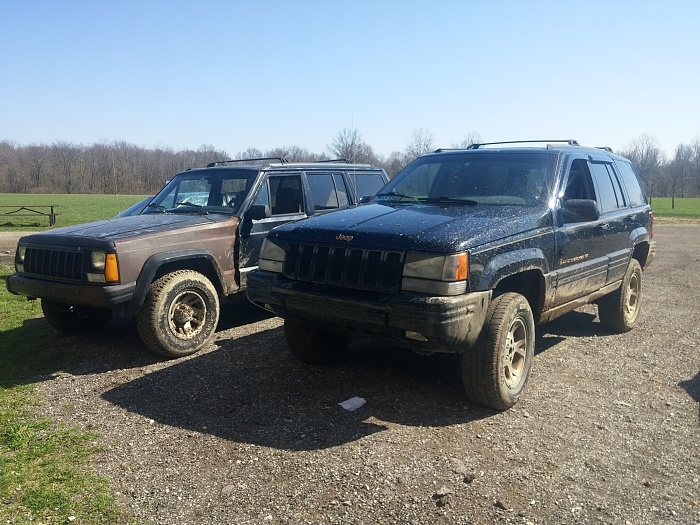 I had to tow my buddies 2wd XJ from the mud!! Hi all, checking in from Toledo. Welcome to the forum, and I am just North of you! Closest wheeling area is probably Indiana. Some private land areas may be closers, but, they are private. Jeremy from Ravenna, Ohio. South of Cleveland. 89 Cherokee limited from SoCal, looking for a replacement rear end. Just started working for a 4x4 company and I love these trucks. I've been scanning Craigslist, waiting to pounce on an XJ. I wanna buy a beater to use as a project truck so I can get out there and participate.